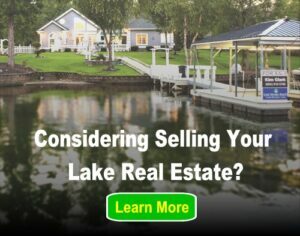 Lake homes have a timeless appeal for both children and adults, since people of all ages are so wildly attracted to the water. Keeping everyone safe around the water needs to be a top priority though because of potential threats in and around the lake or any body of water. Drowning is the fifth leading cause of unintentional injury death in the United States. Ten people die from unintentional drowning in the U.S. every day, and of these ten drownings, two are children aged 14 or younger. The following is a number of critical child water safety tips that will help to keep your children and your family safe around the lake. The right training can help prevent a disaster, which is why young children that spend any time around water should start learning about water safety early – between between the ages of one to four years old. The American Red Cross designs programs for kids ages six and over, and provides age-appropriate training to help children become strong swimmers. In addition to swimming lessons, adults in the family can also take CPR and first aid courses that are extremely valuable to have under all conditions. 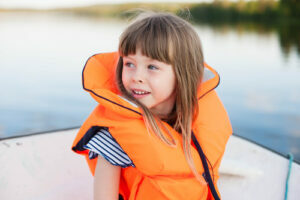 Boating safety courses are also a must if you spend any time at all on the water. If none are taught in your area, you can take them online for free by visiting the Foundation for Boating Safety and Clean Water’s website. The best way to avoid a water injury is to ensure you have the proper deterrents in place to keep children from accessing the water without supervision in the first place. Keep these safety tips in mind to prevent injuries, or worse yet, tragedies on the lake. Making water safety a top priority is critical to ensure your children and the rest of your family can enjoy the water and everything else the lake has to offer while remaining protected from some of its dangers.